Mohamad Ahansal is a man of considerable charm. He could, in fact, persuade almost anyone into anything. The first time I met him earlier this year in a café in Marrakech, Morocco he said, “Alice, come and do some translation for me at the Trans Atlas Marathon.” The Trans Atlas Marathon is the ultramarathon stage race Mohamad created and directs across the High Atlas mountains of Morocco. “I don’t speak good English and I have lots of competitors coming who need English,” he added. You don’t really say no to the five-time winner of the Marathon des Sables (MdS), and the thought of a jaunt in the Atlas was really appealing. I duly turned up, ready to do a bit of translation and was promptly, and, with a very mischievous chuckle, handed a race bib for the Trans Atlas Challenge, the shorter-distance event taking place alongside the Trans Atlas Marathon. The next six days were a blur of high peaks, the scent of wild thyme, brilliant blue skies, tiny Berber villages clinging to the rock, and evenings full of runners’ camaraderie and Berber drumming. That week also gave me the chance to find out more about the man behind the myth. Mohamad Ahansal is one of the legendary Ahansal brothers, who between the two of them have won 15 of the 31 editions of the Marathon des Sables and who are national heroes. He started this year well, with a win at the Silk Road Ultramarathon in Iran, but his main focus for the summer was taking on the infamous STYR Labs Badwater 135 in California. He had been sponsored to run it for I Run 4 Ultra (part of Hope So Bright) to raise awareness of autism. Their aim is to publicize the issue and look at different ways to treat the symptoms and root causes of autism and alternatives to pharmaceutical interventions. Mohamad is a Berber (Amazigh) hailing from near the desert town of Zagora in the Sahara Desert in Morocco. His earliest life was spent as a nomad, living under the shelter of a goat-hair tent with his family who subsided off the land and their herd of goats and sheep. Mohamad says that there is no life so hard, so tough as that of the desert nomad. Mohamad Ahansal in 2013 with extended family and iRunFar Senior Editor Meghan Hicks at the homestead in which he was born. Photo courtesy of iRunFar/Meghan Hicks. The awareness of that struggle still drives him. When he was two, his father died. His uncle asked his mother to stay on with them with her five children but she wanted something different. She wanted an education for her children and so the family went to a village near the bustling town of Zagora where Mohamad’s grandfather had a house and there were schools. His start in competitive running came when he was 17. It was Eid Al Arsh (the festival of the coronation) on the third of March. Part of the celebrations included races for the young men of the area. Mohamad signed up alongside all his friends. He didn’t have proper running shoes so he wore his football boots. They were green, with heavy plastic soles. When he saw that everyone else had trainers on, he took them off, left them at the start, and ran barefoot. He came second and that was the first time he realized his abilities. Mohamad had his brother, Lahcen, as an example and a training partner. The two men were to go on to be the greatest champions ever of the Marathon des Sables. The story the Ahansal brothers like to tell is that they were near Zagora when the runners from that year’s edition of MdS passed by. In 1991, Lahcen ran MdS without an official race entry and was first but pulled back just before the finish line to allow the first official winner to run through. Then, the brothers sought out sponsors to pay their way into the race, and the legend began. In 1998, Mohamad won his first MdS with a record-breaking time of 16 hours, 22 minutes, and 29 seconds. He was to win it a further four times in 2008, 2009, 2010, and 2013. He has also been runner-up 10 times and he has run the race a total of 19 times. But he wears his victories very lightly. Two brothers, one race. What does that feel like, competing with someone so close to you, sometimes winning but more often coming in second. I was interested to know whether sibling rivalry was a factor or not. “In the family, we are brothers,” says Mohamad,” but in the race we were not. We did cooperate. It makes it easier if you can work with someone to get you through, but sometimes we raced totally on our own, with our own race plan, our own tactics. It was after that first MdS win in 1998 that fate took a hand. Mohamad was working as a desert guide and met a German businessman, Lutz Ulla, and his family. They didn’t have any language in common but communicated through signs and drawing in the sand. It must have worked, because Lutz went on to be a mentor and sponsor and to change the course of his life. He invited Mohamad to come and run his first road marathon and his first marathon abroad in Frankfurt, Germany. Just getting the visa was a nightmare. The Moroccan Athletics Federation refused to recognize Mohamad as an athlete, saying the MdS didn’t count as a proper race and things ground to a halt. Despondent, Mohamad went to the embassy to get his passport back and when he opened it, he found the visa inside. Lutz had talked to the organizers of the Frankfurt Marathon, who contacted the embassy and he got the visa. So, what was it like standing on a cold, windy start line in Germany? With Lutz’s help, Ahansal went back to Germany to undertake three months of training to try and get his time down to sub-2:15 in preparation for the Hamburg Marathon. From a minimal training regime in the desert, which consisted of mainly running, Mohamad was suddenly in a full program. It was to be a turning point for the young man. So, what brought him to Badwater? And what about training and preparation for the event? “Tadrib bidoon Tadrib,” says Mohamad in Arabic and laughs. It means “training without training.” He went on to tell me that he believes in all-over conditioning but keeping it within limits and not overtraining to injury, harking back to Hamburg. 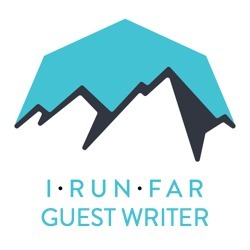 His main regimen for Badwater consisted of altitude training around Mount Toubkal in the High Atlas, which tops out at 4167 meters altitude, and of course, lots of heat training in his home in Zagora. But would that training be the right strategy for this notoriously difficult race, which is run on a paved road? Badwater is a very particular race. It is 135 miles on the road in one stage, starting from Death Valley, California in the broiling heat, and combining that with some serious climbing over three mountain ranges amounting to 4450 meters of vertical ascent. It is acknowledged as one of the more difficult races in the world. Many of the elements of the race were familiar to Mohamad, particularly the heat and the mountains, but this would be the longest distance he had ever run in one go and it is run on tarmac, something he is not used to. His entrance into America for the start of the race was not an auspicious one. As he had been in Iran earlier in the year, he had an Iranian stamp in his passport, which was something that the immigration officers took exception to. He spent eight hours being held and questioned in immigration until everything was checked out. Then, to compound his woes, his baggage containing all his kit was lost. He had packed his race shoes in his bag, and so he was forced to buy new ones. Most racers have planned their race-day kit well in advance and everything is tried and tested. Forced into the unenviable position of getting new shoes on the eve of a huge race, Mohamad decided to go for Hokas, but this was to be the first time he had ever run in the brand, let alone this particular pair of shoes, and he had a long, paved road ahead. If you see pictures of Mohamad at the start line of the race, he looks worried. The elite wave of runners for Badwater, including Mohamad, set off at 11:30 p.m. Pacific Standard Time on Monday, July 18. At the first checkpoint at 17 miles, he was lying in 12th place and was running strongly. However, trouble started to kick in over the next 20 miles and his position dropped to 25th with a time of 7 hours, 17 minutes at 41 miles. His aim going in had been to make the top 10, and this was way off the mark. There were two very serious problems for Mohamad and they were the fact that he is not used to training or racing on paved roads, and wearing a brand-new style of shoe over such a long distance and in such difficult conditions. It was to prove too much. Any DNF is a grave disappointment, but when I talked to him straight afterward, Mohamad was already thinking forward. Every runner comes to a race determined to finish, and the fact that he had come to race for I Run 4 Ultra to raise awareness of children with learning difficulties meant a lot to him. As my final question, I wanted to ask Mohamad what his spirit animal was. After the 2016 MdS I interviewed American runner Harvey Lewis, who participated in the race, and he said he chooses a spirit animal for every race. He chose the dung beetle for MdS, but that is another story. Getting the concept over to Mohamad was a bit tricky and we had to resort to three different languages to get there but in the end, we did. Do you know Mohamad Ahansal? Can you tell stories about your experiences with him?